Volkswagen announced this morning the launch of a spinoff company focused on “new mobility solutions” such as ride-hailing and on-demand autonomous vehicles. The German car giant says it hopes to generate “a significant share” of its sale revenue from these new services by 2025. Car companies like Ford and General Motors have been launching car-sharing services or partnering with ride-hail startups like Uber and Lyft as a way to insulate their business as urban consumers trend away from personal car ownership and toward ride-sharing and car-sharing services. 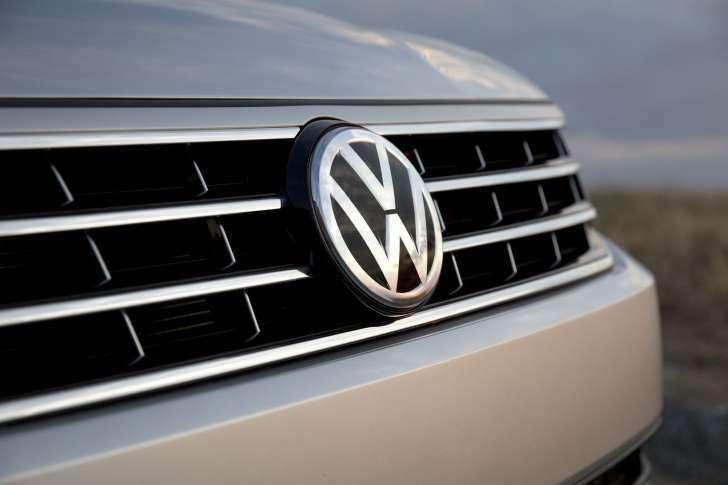 Volkswagen’s decision is noteworthy especially as it continues to deal with the fallout from its self-inflicted diesel emissions scandal. Volkswagen announced the creation of Moia at TechCrunch’s Disrupt conference in London today. Among its first projects will be electric commuter shuttles that can be hailed via a smartphone app — combining the service of a public bus with the on-demand aspects of UberPool. Hailing a ride with your smartphone represents the “biggest potential” for Volkswagen’s new spinoff company, the carmaker said in a statement, citing its recent $300 million investment in London-based ride-hailing service Gett. As part of this renewed commitment to mobility, Volkswagen says it will “explore” self-driving technology, though no detail is offered as to what that might look like, which markets might be tested first, or what vehicles would be used. Most large automakers are now actively exploring autonomous driving — as are major ride-hailing companies — and Volkswagen Group subsidiary Audi has been one of the more energetic developers of the technology over the past decade. At the Paris Auto Show earlier this year, Volkswagen unveiled its ID concept car, with a retractable steering wheel and capability for autonomous driving. Ole Harms, who served as executive director and head of new business and mobility services at Volkswagen, will assume the post as CEO of Moia starting January 1st, 2017. The first pilot projects will begin later next year.